I have been authoring software for the Apple ][ and IIgs ever since I bought my first Apple ][ back in early 1980. 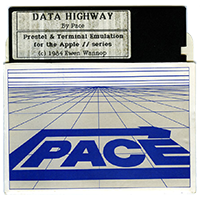 My first commercial software for the Apple ][, Data Highway™ (now renamed Antelope), was published in Europe by PACE Communications in 1984. My first commercial software for the IIgs, Spectrum™, was published in the USA by Seven Hills Software in 1991. 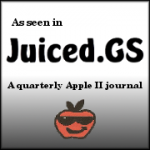 I have continued to write software, mainly for the IIgs, right up to the present day. 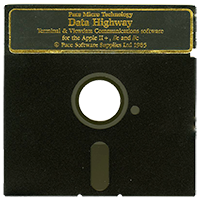 On this web site you will find much of the software that I have written for the Apple ][ and Apple IIgs since the early 1980’s. You can either search for a specific software title, or select a title from the categories listed in the sidebar. 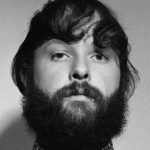 In addition to writing software, I have been involved with Apple User Groups throughout the years, being chairman of several user groups in the UK, as well as being an online “guru”, helping users both in the UK and worldwide, something I continue to do to this day. I also ran the Apple2000 TABBS Bulletin Board in the UK, serving both the Apple ][ and Macintosh, for many years. You will find here magazine and disk archives from the Apple2000 User Group (originally BASUG), of which I was chairman for many years, as well as the entire set of magazine archives from Joe Kohn’s Shareware Solutions magazine.